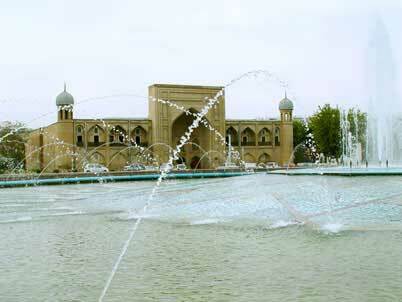 In the old Tashkent residential neighborhood called Sibzar, lies Khazrat Imam Square with a complex of architectural monuments that sprang up here in the course of several centuries. Scientists believe that early in the Middle Ages this place was the town's center, which was then called Shash. Close to Khazret Imam Square there stands Barak-Khan Madrassah – one of the most remarkable medieval architectural monuments. The height of its portal, decorated with majolica and glazed tile mosaic, is accentuated by a deep lancet niche with little decorative arches. At the corners of the facade is lined with guldasta towers with little domes. 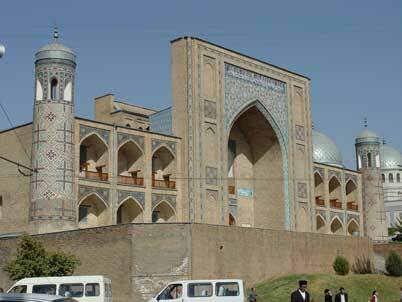 Kukeldash Madrassah in Chorsu Square ranks as the largest madrassah in Tashkent and one of the leading Moslem theological education establishments in the whole Central Asia. In this very place in the ancient times there was crossroads of caravan roads – ‘chorsu’, and the main town’s trading square was formed, surrounded by the workshops of craftsmen. One hundred years ago today's Navoiy Street, one of the widest and most beautiful avenues of Uzbek capital, was called Sheikhantahur Street. 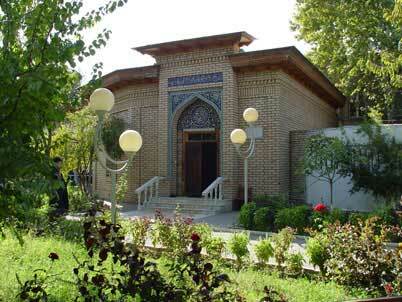 It had been named after Sufi sheikh Khavendiy at-Takhur (Sheikhantahur), very much respected by Moslems. His mausoleum is located in this part of the city. In Tashkent's public green space situated between two busy wide roads lined with high blocks of flats, just behind "Istiqlol" Palace, there is a remarkable old building. This is Abdulkasim Madrassah, whose carved doors are always open for visitors interested in antiques and Uzbek traditional arts and crafts. Here are the workshops of the craftsmen working under the aegis of The International Fund Oltin Meros ('Golden Heritage'). 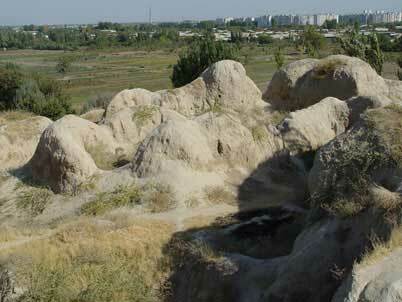 There are about 240 archeological monuments in Tashkent – Uzbekistan’s capitalt. The oldest of them is believed to be the ancient Shash-Tepa settlement, which is situated within the precincts of the city near Southern Railway Station. Apart from being the oldest monument in Tashkent Province, Shash-Tepa has the only fire-worshippers' temple discovered by the archeologists on the territory of the province. 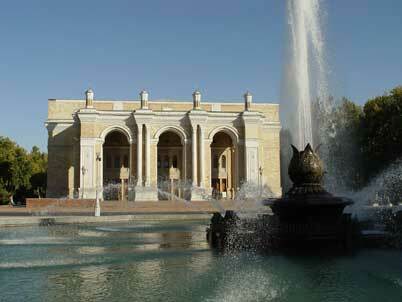 Among the large number of Tashkent monuments Courage Memorial deserves special attention. 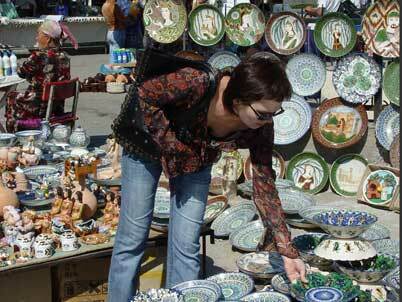 It is dedicated to the events that took place almost 50 years ago and left a deep trace in Tashkent’s history. On the granite podium of the monuments stands a black labradorite cube. One of its sides contains the engraved inscription: April 26, 1966; on another side there is the engraved image of a clock-face whose hands show the time: 24 minutes past 5. 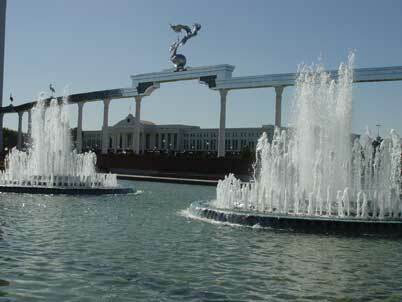 Tashkent residents have all the reasons to be proud of their Mustakillik Maidoni ('Independence Square'), which is another city's attraction. Wide granite stairs coming up between the cascades of 7-meter-high squirts of the fountains lead to a huge colonnade that in an arc-form manner flanks the square in the east. The 16 white marble columns with capitals in the form of the traditional sharafa-stalactites are spanned with silvery metal roof decorated with sculptures of storks. 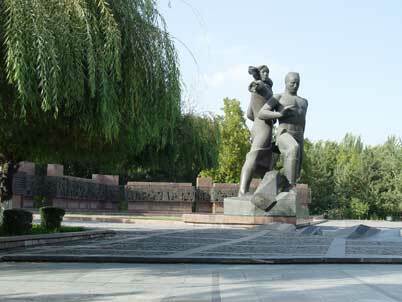 Theater Square with its shady chestnut alleys, well-groomed flowerbeds and cooling fountains has been for a long time one of the favorite rest places of Tashkent’s residents. 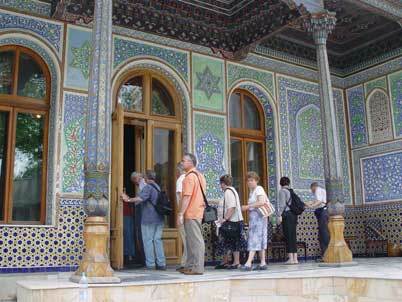 In the center of the square stands the building of the Alisher Navoi Opera and Ballet Theatre. Its appearance elegantly blends the design philosophy of a classical theater building and traditions of oriental architecture. Tashkent TV tower can be seen from almost everywhere in the city; it comes into view from behind every structure. The height of the tower is 375 meters, which is 75 meters higher than that of the famous Eiffel Tower. The weight of this “Tashkent Beauty” is 6,000 tons, which is 3,000 tons less than Eiffel’s structure. The lightness of local tower is especially noticeable if you compare the silhouettes of the two rivals. 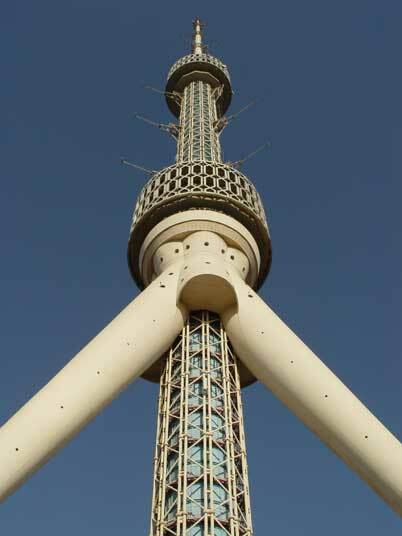 Topped with an antenna, the graceful dodecahedral stem of Tashkent TV Tower looks soaring on its three conical props. The structures of outer belts of the tower look like huge panjara-lattices, which give this construction an oriental appearance. A complex engineering project, this tower was built within a record length of time – eight years. It was put into operation in 1985. The designers and constructors of the tower were awarded State Prize for the job done. Later Tashkent TV Tower became a member of World Federation of Great Towers, yielding to only TV towers in Toronto, Moscow, New York and Tokyo. On a quiet Tashkent street, hidden from the city’s noise in one of the neighborhoods, a passerby will notice a building with Uzbek traditional ayvan terrace decorated with beautifully carved columns. This is the Museum of Applied Arts. It occupies the building whose construction was commissioned by Alexander Polovtsev, a wealthy tsarist diplomat of Turkestan Governor-General’s Office. 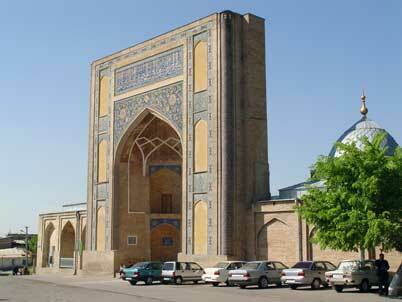 Tashkent Chorsu Bazaar is one of the largest in Central Asia. Under seven huge domes covered with colored glazed tiles are the pavilions where farmers sell their produce. In the fruit and vegetable sections you are dazzled by the abundance and variety of the merchandise. On the stalls are piles of ruddy apples and honey-tasting pears, fuzzy peaches, prunes, large quinces, and bunches of black, pink and amber-colored sweet grapes. 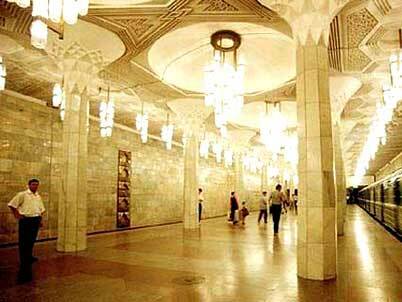 The famous formula of architectural trinity – durability, usefulness, and beauty – is perfectly embodied in such a complex and monumental structure as the Tashkent Metro. Of course, Tashkent underground system cannot come up with New York Subway and Moscow Metro in terms of total length of lines and number of metro station. 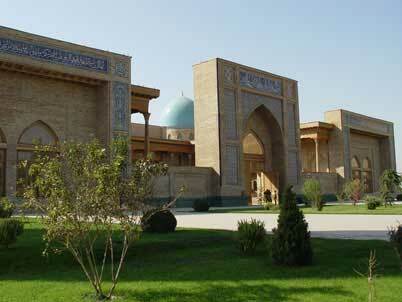 However, this transportation network is a peculiar attraction of Uzbekistan's capital.